A new Integrated Resource Plan was released by South Africa’s Energy Minister in August 2018. This was a major event because the first Integrated Resource Plan (IRP) was printed in 2010 and was supposed to be updated regularly to guide the nation’s approach to electricity. Instead, the release of updated IRPs was delayed. In that uncertain environment, there was a strong push for expensive nuclear options. The release of IRP 2018 brings certainty to the market again. Nuclear will not be considered again until at least 2030. The South Africa Photovoltaic Industry Association (SAPVIA) welcomed what it calls the “rational” draft Integrated Resource Plan. When South Africa ran out of power in 2008, a programme to get private investors to build renewable energy capacity was instituted. It was called the Renewable Energy Independent Power Producers Procurement Programme (REIPPPP). Between November 2011 and July 2016, South Africa received commitments of investments to the value of nearly R200-billion through this innovative and efficient programme with encouraged private investment into the South African power generation sector. According to the Department of Energy, the REIPPPP by 2016 had not only delivered multiple millions in investments, it also created more than 30 000 jobs and benefited local community development to the tune of R256-million. Figures released by the South African Wind Energy Association (SAWEA) showed shareholding for local communities reached an estimated net income of R29.2-billion over the lifespan of the projects. Some 14 000 new jobs are expected to be created, mostly in rural areas, and more than R30-billion has already been spent on Black Economic Empowerment (BEE) in the construction phase. In April 2018, new Energy Minister Jeff Radebe restarted the REIPPPP when he signed off on projects totalling R56-billion that will add 2 300 MW to the national grid. 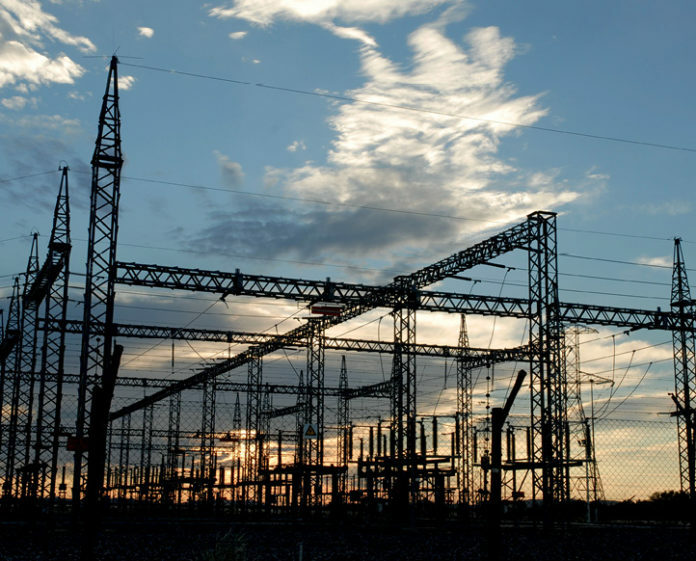 There had been a long delay in the process as national utility Eskom argued against accepting more power purchase agreements while they had a surplus. Most of South Africa’s electricity comes from coal and Eskom is building two huge coal-fired power stations. Most commentators on the IRP 2018 have praised its basis in science and the fact that it has adopted the “least-cost” method of analysing options. With renewable energy costs having been dramatically reduced, the IRP concludes that wind, gas and solar power (photovoltaic) will be the three methods to be allocated the most new projects up to the year 2030. The other form of solar power (concentrated solar power, CSP) is very effective and some projects have been successfully commissioned, but it is relatively expensive. Despite the emphasis on renewables in the IRP, SA’s energy mix is still weighted towards coal. Two new power stations, Kusile and Medupi, are being built by Eskom and 1 000 MW has been allocated to private producers to build coal-powered stations known as Thabametsi and Khanyisa. The IRP has attracted criticism for enabling an expansion of the coal industry. Koeberg nuclear power station is due to be decommissioned soon after 2045. In commenting on the IRP 2018, SAPVIA raised a question about the role of the Small-Scale Embedded Generation market in the form of facilities such as rooftop-PV installations and the growth in demand for LPG gas for cooking. The association stated that the 200 MW allocation is insufficient to address what it believes is a growing market. * This takes into account the possible Inga project in the Democratic Republic of Congo. Gas in various forms is very much in the spotlight. South Africa’s neighbour Mozambique has large offshore deposits and a sub-committee of the Southern African Development Community (SADC) has been tasked with working out a master plan for the region. A study prepared by the Energy Centre of the Centre for Scientific and Industrial Research (CSIR) reports that wind and solar power (supported by natural gas, biogas and hydro-electric power) could be up to the task of providing “baseload” power. The base load is the permanent minimum amount of power that the grid must be able to deliver to keep the country working. There is special interest in natural gas as a source of a versatile and mobile back-up for the main types of renewable energy: if the sun goes behind a cloud or the wind does not blow, it is very easy to turn on the gas. This fits in well with the Department of Energy’s enthusiasm for gas-to-power. It is targeting the procurement of 3 126 MW through its programme and intends spending R64-billion on port, pipeline, generation and transmission infrastructure in at three key ports, Richards Bay, Coega and Saldanha Bay. Hydraulic fracturing (fracking) has not been in the news for a long time but it has not been ruled out by the government. Controversy arose when this method of extracting gas was proposed for large parts of the central Karoo region. A bill currently working its way through parliament, the Mineral and Petroleum Resources Development Act (MPRDA), will deal with gas supplies and the contentious fracking issue. The creation of an entirely new economic sector in a very short timeframe has been a boon for financing and banking. An innovative project was announced in 2018 with the bundling of five projects into one. All of the projects are being built by Enel Green Power but by creating one holding company to distribute the funds, Absa and Nedbank, the lenders, were able to reduce costs. Law firm Norton Rose Fulbright concluded the R3.5-billion financing arrangement. The support of two of South Africa’s biggest institutional investors, the Industrial Development Corporation (IDC) and the Public Investment Corporation (PIC), has been crucial in getting the renewable energy sector off the ground. They have also played a role in helping communities fund their participation in community trusts. According to Business Day, the PIC has so far invested in 16 unlisted projects and its total investment stands at R11-billion. The IDC’s 24 projects are valued at R14-billion and will contribute 1 100 MW to the national power grid. Many partnerships between local and international companies have been established. South African partners are often local energy companies and representatives of residents. Typically, a community trust is established to represent the interest of the local community. Investment by black people into the RE programme is not limited to community trusts. Pele Green Energy is engaged with a photovoltaic plant at Touwsrivier in the Western Cape as a shareholder and as a provider of construction management services. Once the facility starts generating power, Pele will operate and maintain the plant. Among the international investors active are Enel Green Power (Italy), Scatec Solar (Norway), Globeleq (UK), Mainstream Renewable Power (Ireland), Gestamp Renewable Energies and Abengoa (Spain), Solar Capital (Phelan Energy Group, Ireland), SunEdison (USA), ACWA Power (Saudi Arabia), China Longyuan Power Group, (China), Engie (France), juwi Group (Germany) and Tata Power of India. The last-named company has teamed up with the energy unit of Exxaro Resources to form a company called Cennergi. Partnerships with foreign utilities or power companies are becoming more common, in part because the competition is bringing down the price which bidders are offering to sell power. This makes it difficult for South African firms to compete on their own. Many foreign investors such as large national utilities have strong reserves of cash and don’t need to borrow money. The new bank created by the five nations of BRICS, the New Development Bank (NDB), has made $180-million available to Eskom to help it integrate power from renewable energy sources to the national grid.